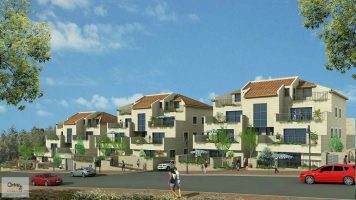 In Savyonei Arnona Project, HaShofet Haim Cohen Street, in a luxurious building featuring an impressive lobby, a 5 room apartment of 125 sqm on a high floor featuring a 15 sqm balcony (not for Succah). The apartment is beautifully renovated and features impressive upgrades. The building features a Shabbat elevator, two private parking spots and a private storage room.